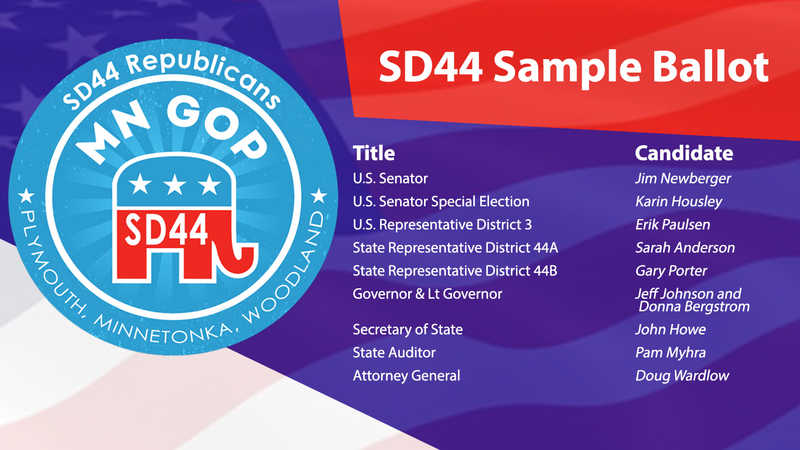 Here is a list of the Republican endorsed candidates in partisan races that you will find on your ballot if you live in Senate District 44. Click on the links to view their website. For the full sample ballot including judicial and local seats click here to be directed to the secretary of state’s website.